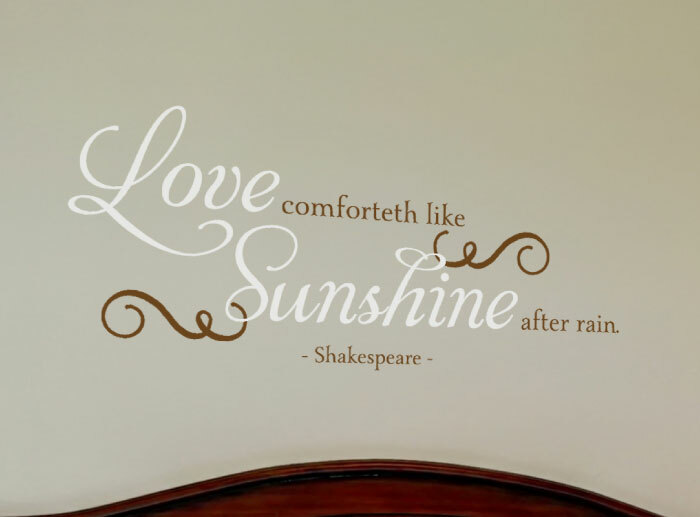 Are you looking for unique wall words that will encourage friends and family to love? Read on! 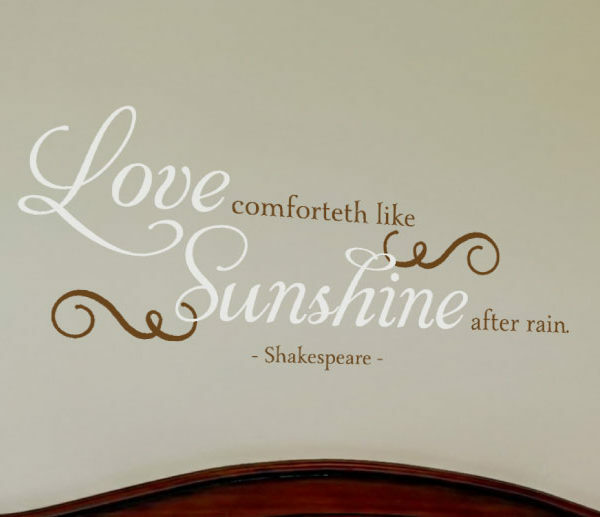 ‘Love comforteth like sunshine after rain’ wall words are it! They look great in this warm bedroom. We applied them above the bed on a light green underlying wall. The wall lettering has a sunray like background and is a remarkable sight! They also tie in well with the duvet, lampshade and the contemporary artwork on the wall. This is a creative way to create a focal point and share a wonderful message at the same time! 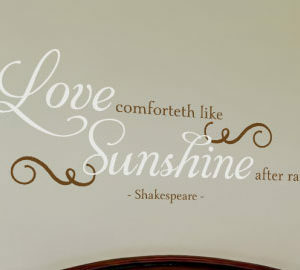 These wall words are available from WiseDecor. Not only are they affordable, they are also durable. You will get your money’s worth! They are low on maintenance and a fun way to have wall decor that looks painted on but without the hard work! 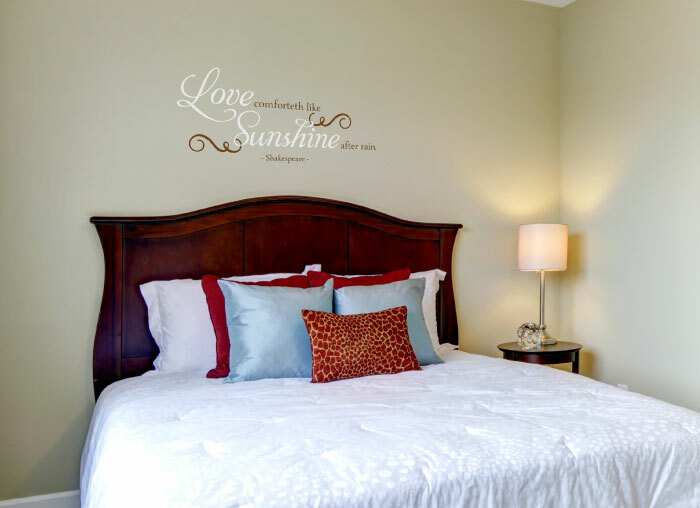 To make sure that you enjoy our wall quotes without glare problems, we use matte on them. This enables you to easily see and read them! Pay us a visit on our user-friendly website. Simply select a quote from our library or submit a preferred one. Make sure you use our previewer to make sure you have selected the right color, style and size for your wall space. Submit: our team of experienced and talented designers will take it from there! We ship worldwide! Go ahead and place your order if you live overseas. Get in touch. Let’s jazz up those walls!